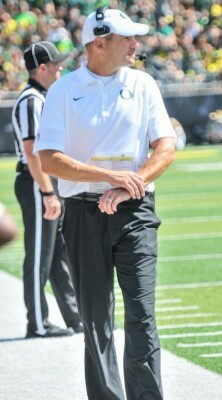 With limited official visits Coach Mark Helfrich is making the most with what he’s got, but is running out of time. The Ducks may have three more commitments available for this 2015 recruiting cycle after getting two commitments in the last week. Signing day is February 4th and that leaves little time for Coach Helfrich and staff to attempt to snag those high-profile guys from schools that may have the inside track to their signatures. Tops on the list is 5-star cornerback Iman Marshall from Long Beach, CA. Even though he hasn’t taken an official visit to USC, he is perceived as a Trojan lean. Coach Helrich plans to make an in-home visit with him roughly a week before signing day. Marshall would give Oregon its second 5-star recruit in this class. However, I don’t expect him to sign unless he visits this weekend and pulls a “DeAnthony Thomas” type of surprise. 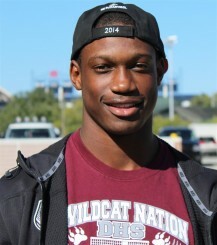 Three 4-star recruits still on the board have already taken official visits. Guard Semisi Uluave from Hawaii would bring a large presence to the O-line in two years after completing his Mormon mission. Louisiana native Kirk Merritt was last summer’s SPARQ champion who would most likely play slot receiver at Oregon. However, don’t be surprised if he carries a few from the backfield. Finally, Coach Helfrich is making an in-home visit this week with Gardena, CA linebacker John Houston. Houston has the size and run-stuffing ability the Ducks need to improve their defense. Uluave was nearly an UCLA lock a few months ago, but has not lost tabs with Oregon and Texas Tech. Merritt is quiet and not letting the media in on very much. Is he a silent commit? Texas A&M seems to be the biggest challenge to Oregon for getting his services in the fall. His decision will come on signing day. Houston is a huge USC lean still and not likely to “quack” unless he enjoys the DAT drama. Some recruits are more difficult to analyze because they are committed to other universities. Ykili Ross is an USC commit, but is scheduled to visit Oregon January 30. His skill on both sides of the ball is valuable, but I don’t expect him to actually visit. Joshua McMillon is a linebacker committed to Alabama who received a visit from the Oregon coaches, but nothing has evolved since. Lastly, linebacker Josh Smith out of Tennessee is verballed to Vanderbilt. Much like Houston, Smith has the size, speed and run-stuffing ability to slow an opponent’s run game. 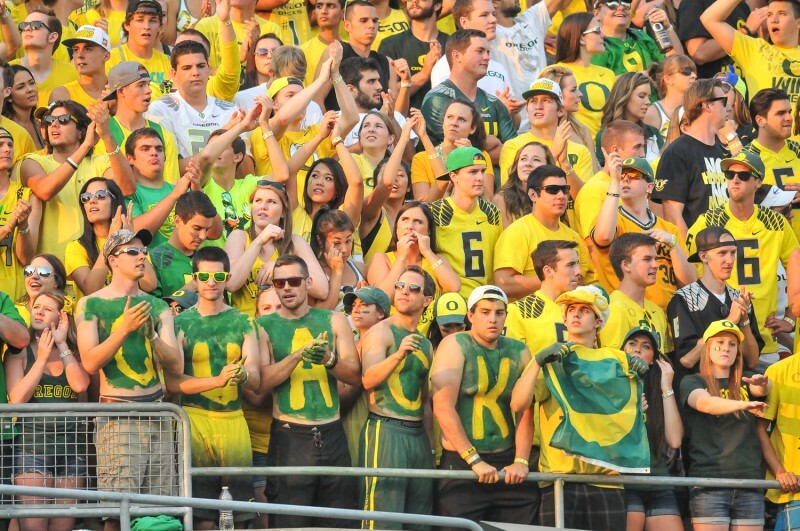 Oregon would love to see Smith take his visit to Eugene, but Smith’s recruitment seems to have lost steam. Another 4-star stud is Tyrone Wheatley, Jr. Hailing from Buffalo, NY, Wheatley has the size and frame to play tight end or defensive end. He is an offensive weapon that would give defensive coordinators fits as a tight end. However, his speed off the edge would be dangerous against Pac-12 offenses as well. His visit is scheduled for the 30th, however, Wheatley will most likely not realize his potential at Oregon and will take his talents elsewhere. Not much has been said about the recruitment of a certain San Gorgonio defensive back in California. Three star Nathan Meadors has not scheduled a visit to Oregon, and if he doesn’t, it appears UCLA will take him. Speaking of UCLA, another committed player, Josh Woods, has been discussed as a possible official visitor. Again, if this visit doesn’t transpire, he will remain a Bruin. 3-star outside linebacker Jonah Moi of Riverside Community College is committed to WSU. He’s got great size and seems eager to continue developing. Moi may consider flipping his commitment from the Cougars after receiving an in-home visit from the Oregon coaches recently. 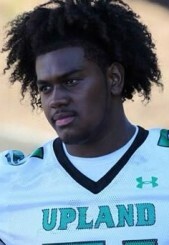 One 2015 prospect visited Eugene this past weekend: massive 6’7″, 330 lb. offensive tackle Darrin Paulo. I really hope he enjoyed his visit because even with the large number of offensive linemen Oregon is taking this cycle, his size and skills would be difficult to pass up. Paulo has to make the difficult choice between Oregon and Washington State, where his brother is currently attending. Some lesser known players Oregon has found may be those diamond-in-the-rough type finds that keep the Ducks on top. After his in-home visit, Steilacoom, WA, linebacker Fotu Leiato committed to Oregon. Leiato’s highlight reel on hudl.com has become one of the most viewed highlight sensations this recruiting season. He is set to visit on the 30th along with another player who “quacked” after an in-home visit: Gary Baker, a defensive tackle from Upland, CA. Oregon was a dream offer for him and he jumped at the opportunity when he got it. Several prospects have crossed Oregon off their list. Jake Pickard did not make his visit because he committed to Wisconsin. Bryce Sterk’s interest in the Ducks diminished after committing to Washington. Daishon Neal recently ended his recruitment and canceled all future visits. Finally, there have been no updates for Tennessee commit Justin Martin. I am certain that these prospects can be deleted from our radars. 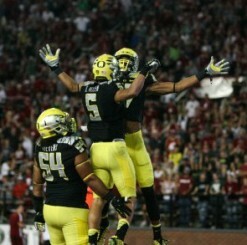 I feel confident that Oregon will keep all the committed players through signing day and land up to three more. The three I like Oregon pulling in are Merritt, Paulo and Moi. If Marshall, Houston, Smith, Uluave, Wheatley or Kyler Murray faxed their LOI on signing day, Oregon would certainly make room. Those are special players at important positions. Finally, the 2016 recruiting class may be something to watch in the upcoming months. The Ducks have some momentum from the College Football Playoff that will translate into reeling in some special talents who have grown up watching Oregon win 10 games or more the last eight seasons.